Hi Pet Blog Readers, Good Monday! To start off the week, we have a post from guest blogger Karleia Steiner. She has authored an informative article about heartworms in dogs. Heartworms can be a serious problem for your dog, so it is a good idea to take preventative action and stop them before they affect your favorite canine. Karleia has some great tips that should help keep your pooch happy and healthy. If you have ideas that you would like to share, please let us know in the comments section. Thanks! Heartworm disease is a condition where parasitic worms live inside of the pulmonary arteries. This condition may also affect the right side of the heart. 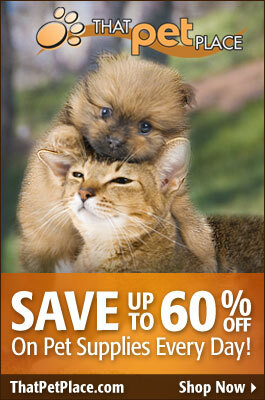 It primarily affects dogs, but it can affect cats, foxes, ferrets, coyotes and sea lions. Heartworm disease can make an animal seriously ill and even cause death. There are treatments for this condition, but in many cases, the treatments result in complications. Fortunately, it can be prevented. Below are some tips that will help prevent heartworm. One of the best things that you can do to prevent your dog from getting heartworm is to follow your veterinarian’s heartworm prevention plan. Your veterinarian may recommend that your dog take chewables or tablets monthly or daily. Your veterinarian may also recommend injections. Heartworm medications will not work on an animal that already have heartworms. All heartworm prevention medications work in the same way. They work by killing larvae heartworms. Heartworm medications do not work on adult heartworms. That is why it is very important for you to make sure that your dog consistently takes the heartworm medication. You should also have your dog tested for heartworm at least once a year. Your veterinarian may recommend more frequent testing if needed. This will ensure your dog is heartworm-free before he or she continues taking the medication. Veterinarians can perform a blood test in order to diagnose heartworm. The test checks for antigens that the adult heartworms release into the bloodstream. However, the test usually do not detect heartworm infections that are less than five months old. You can visit Brimley-Lawrence Animal Clinic if you want to know more about heartworm testing. Infected mosquitos transmit heartworm. That is why you will also need to limit your dog’s exposure to mosquitos. The mosquitos are most active after sunset, so you should keep your dog inside during this time if possible. You may also want to consider using a product that is designed to repel and kill mosquitos. 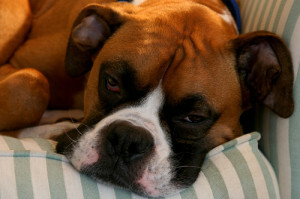 This will also reduce your dog’s chances of being infected with heartworm. In summary, heartworm disease can be deadly, but there are some things that can be done to prevent it. You will need to take your dog to the veterinarian in order to get a heartworm prevention plan. You will also need to get your dog tested for heartworms regularly. Additionally, you should reduce your dog’s exposure to mosquitos.